Avani Patel joined the Peery Foundation as Portfolio Director in November of 2013 to strengthen the foundation’s contribution to closing the opportunity gap for youth in East Palo Alto. Her career in education started through Teach for America as a teacher in East Palo Alto. She has worked in both traditional and charter school systems and has served as a school site and district administrator in the Ravenswood City School District, the public school district in East Palo Alto. She graduated from UC Davis with a degree in Sociology and African & African American studies. In addition, she pursued her Masters in Education and received her doctorate in Educational Leadership. Dave Peery is the Managing Director of the Peery Foundation, a family foundation based in Palo Alto, California. The Foundation invests in and serves social entrepreneurs and leading organizations along the San Francisco Peninsula and around the world. Dave is an advocate for common-sense approaches to funding and serving social entrepreneurs. He is a founding member of Big Bang Philanthropy and the Red de Inversores Ángeles, Paraguay’s first network of angel investors. Dave is also endeavoring to improve education in Paraguay as a board member of Enseña por Paraguay. He currently lives in Asunción, Paraguay with his wife Lillie and their five children. Dominique Amiri joined the Peery Foundation in May 2018 as a Portfolio Associate. She supports grantees in the Global Portfolio using tenets of Grantee-Centric Philanthropy. Previously, Dominique worked in philanthropy consulting at Arabella Advisors, where she managed grants, conducted research, and planned convenings to help institutional and corporate funders enhance their social impact. Prior to that, she worked at the advisory firm CEB and interned at organizations focused on international development and human rights. Dominique has a BA in Foreign Affairs and minor in Film Studies from the University of Virginia. Jessamyn Shams-Lau joined the Peery Foundation as its first staff member in 2009, helping to shape the foundation’s initial strategy and portfolios. As Executive Director, Jessamyn supports the Peery Foundation team, guides overall strategy, and develops a grantee-centric approach across the foundation’s portfolios. Jessamyn uses her experience as part of the founding Ashoka U team in her hands-on role as a Board Member of BYU’s Ballard Center, where she created curriculum now taught at both the undergraduate and graduate levels. Jessamyn has a BA in Fine Arts from the University of the Arts London and an MBA from Brigham Young University. Jocelyn Curran joined the Peery Foundation in September 2014 and transitioned to Project Manager in September 2018. Guided by the foundation's grantee-centric values, Jocelyn manages multiple projects simultaneously, working with internal and external partners to execute projects that add value to grantees beyond grant dollars. Previously, Jocelyn worked at The Pew Charitable Trusts. She holds a BA in Political Science and History with a minor in Women's Studies from Denison University, an MA in International Policy Studies from the Monterey Institute of International Studies, and a certificate in International Conflict Management from Johns Hopkins SAIS. Karelli Cabral joined the Peery Foundation in November 2017 as Portfolio Associate. Karelli manages relationships with social entrepreneurs across the Peery Foundation’s portfolios, as well as collaborates with the Foundation Team to promote Grantee-Centric Philanthropy. She started her career building her business acumen at Accenture, later using business practices to solve chronic social issues around the globe at Ripple Effect Images and Soko, Inc. Karelli received her BA in International Change and Development and minor in Anthropology from University of the Pacific. 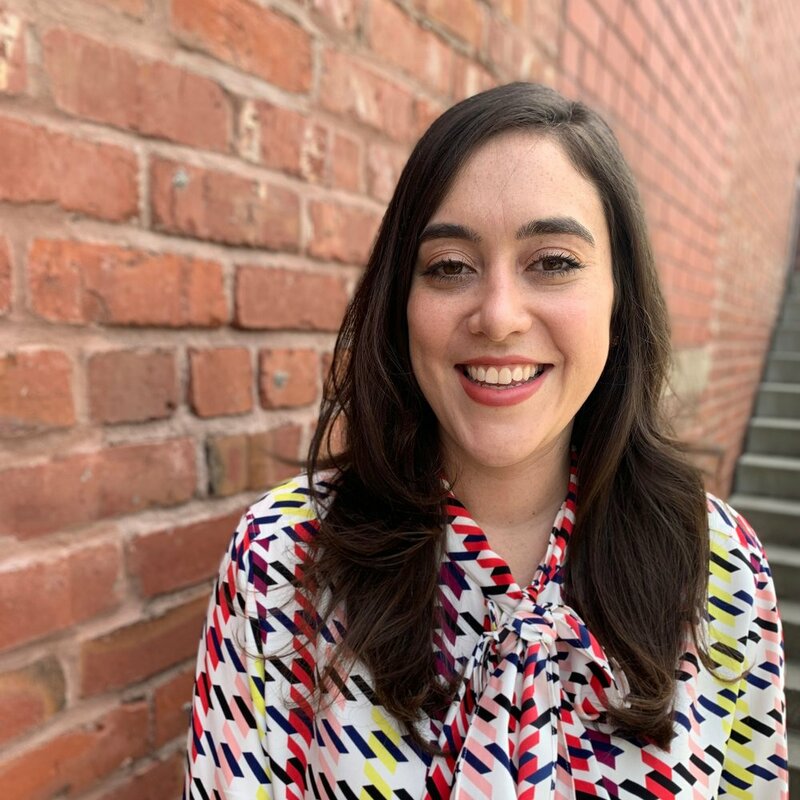 Leah Wilberding joined the Peery Foundation as Peer Relationship Manager in March 2019 to deepen the foundation's engagement with peer funders and provide additional resources to our grantees. Previously, Leah was a fundraiser for Bay Area nonprofits for over a decade where she focused on crafting stories, writing grant proposals and developing partnerships that translated in to sustaining support. Most recently, she stewarded the philanthropy of individuals and families as an advisor at Silicon Valley Community Foundation where she also facilitated a donor circle focused on the housing crisis in our region. Leah received a BA in Literature and Creative Writing from UC San Diego and an MPA from San Francisco State University. Lindsey Padjen joined the Peery Foundation in September 2016 as Portfolio Associate and transitioned to Portfolio Manager in September 2018. Lindsey supports grantees in the Global and Regional Portfolios, drawing on her experience at Harder+Company Community Research where she conducted program and impact evaluations for nonprofits and government agencies, and her time at the San Francisco AIDS Foundation where she supported evaluation of local HIV prevention initiatives. Her experience with nonprofits began as an AmeriCorps member, helping refugees and asylum-seekers access medical and mental health services. Lindsey received her BS in Clinical Psychology from Westminster College. Natalia Schoorl joined the Peery Foundation in July 2016 as Program Assistant. Natalia is responsible for ensuring the smooth operation of the foundation office and internal systems and she supports the team as they serve the Peery Foundation's grantees. Prior to joining the team, she gained experience in the non-profit world at urban and community forestry non-profit Canopy in Palo Alto, managing tree care and planting events and school programs to teach elementary students the importance of trees. Natalia holds a BA in World Literature and Cultural Studies from the University of California, Santa Cruz.